Nickelodeon Magazine Subscription for just $23.95 (reg $59.88)! 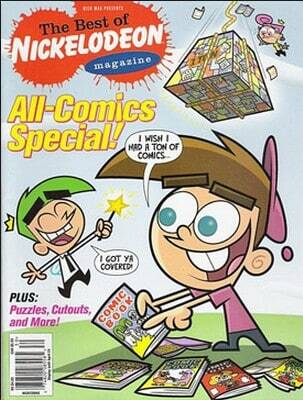 What a great price for a one-year subscription to Nickelodeon magazine! This Best Deal Magazines “Weekly Offer” is only valid today through 10/25. Order your subscription from Best Deal Magazines for just $23.95 (reg. $59.88!). Use promo code NICKSALE to get this price! This offer is good through 10/25 only!